The HP PSC 1210V is a good choice for a home printer. 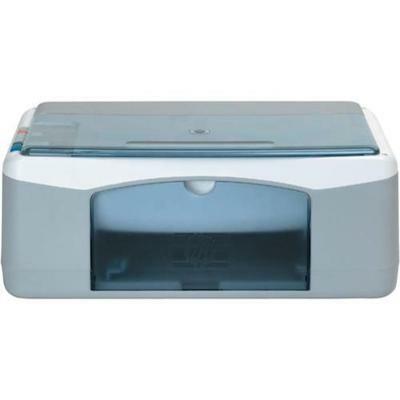 This all-in-one can also scan and copy at decent speeds, has a monthly duty cycle of 1000 pages, and uses HP PhotoREt III colour layering technology. For connectivity, the HP PSC 1210V has a Hi-Speed USB. Though it is cheaper than most printers, it also lacks several features like PictBridge ports and memory card readers. The minimal design and small size of the HP PSC 1210V makes it easy to incorporate into any working environment or home office. It has a flatbed scanner on top, along with a simple control panel. With the HP PSC 1210V, you can expect high-quality photos with vibrant colours. This printer is also capable of delivering crisp and laser-quality documents. It is easy to check the ink status as 'Check Printer Cartridge' indicators are located right on the control panel. The scanner is built to last and features built-in 'power save' mode to help drive down running costs. This all-in-one printer lacks several important features that are already available in competing models, such as an LCD display and fax. The HP PSC 1210V does not support networking, making it unsuitable for printer sharing.